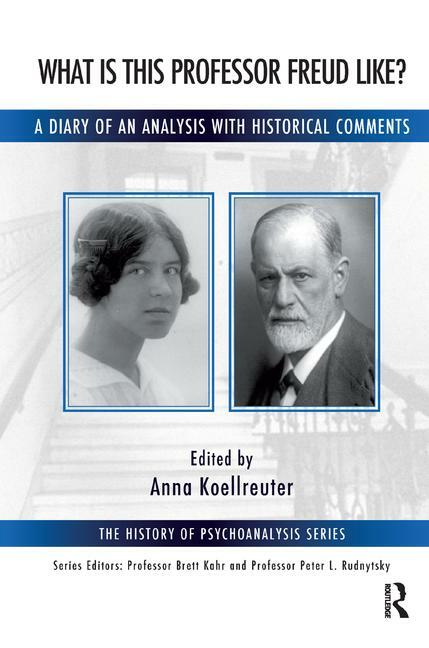 In 1921, a young female doctor is in analysis with Freud. In a diary, she records what moves her. The present volume not only contains a full translation of these records, but also collects four essays by two psychoanalysts and two analytical historians who take their cue from the young doctor’s notes to think about Freud and his methods. The discovery of the diary marks a small sensation for the history of social science. Three factors make the document unique: first, it records not a training analysis, but the analysis of an actual patient, second, the analysis took place before Freud fell ill with cancer, and third, the analysand obviously noted down what was said in the practice word by word. As Ernst Falzeder notes,“no other account published to date meets all three of these conditions”. With contributions by Anna Koellreuter, Karl Fallend, Ernst Falzeder and André Haynal. Anna Koellreuter, PhD, is a psychoanalyst and clinical psychologist, and a member of the Psychoanalytic Seminar in Zurich. Her publications are on the analysis of women by women, on the female analyst in the analytic process, and on the dynamics of drives in analysis. Her latest book is The Taboo of Desire: On the Volatility of the Sexual in the Theory and Practice of Feminist Psychoanalysis. She currently lives and works in Zürich, Switzerland.